"The Revenant" star Leonardo DiCaprio was greeted by fans dressed as bears at Japan's premiere of the Oscar-winning film. 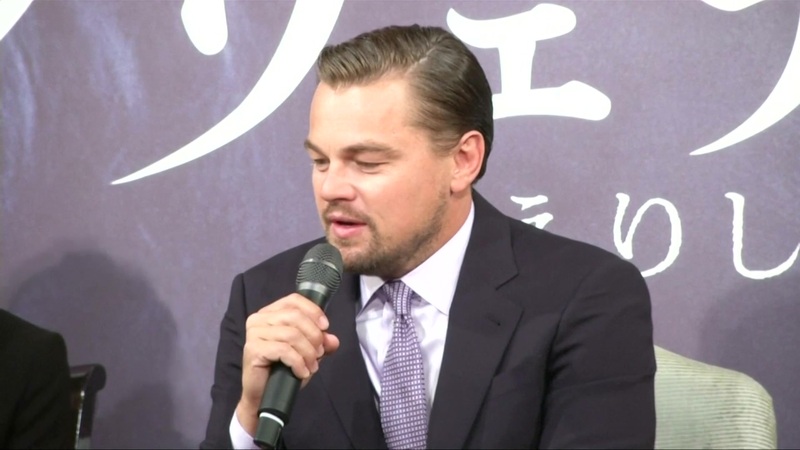 According to Reuters, this is his first trip to Tokyo in two years, and told crowds that it was an honor to receive the Best Actor Oscar but that awards are not the reason he does movies. "It's certainly gratifying and it feels fantastic, but you hope to remain with your initial ideals and dreams of what you want to be as an actor, and all I can hope for is that I'll continue to keep trying to make the best movies I possibly can," the actor said. "The Revenant," directed by Alejandro G. Iñárritu, opened in U.S. theaters on Christmas Day, and has since grossed $181 million domestically and $486 million globally. It won three Academy Awards for Best Actor, Best Director and Best Cinematography. The bear became famous when reports circulated in December that DiCaprio was being raped by the bear instead of being mauled and left for dead. Fox felt compelled to set the record straight, emphasizing that the bear in the film is female, and does not sexually molest the film's leading man. "As anyone who has seen the movie can attest, the bear in the film is a female who attacks Hugh Glass because she feels he might be threatening her cubs," a Fox spokesperson told EW.com in a statement.